It was the most disappointing ending any of them could have imagined. 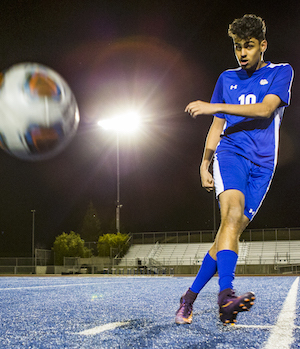 Despite essentially beating Sheldon High of Sacramento, 5-0, in the 2017 Sac-Joaquin Section semifinals, Folsom’s boys soccer team was unceremoniously ripped from the annals of greatness in an odd substitution scandal that disqualified the team. The Bulldogs had inserted an ineligible player and ended up having to forfeit the game. That player was Ethan Atterberry — a junior midfielder at the time. Who previously played overseas with his club team in some friendly matches while on a trip to Germany during his winter break. Sac-Joaquin Section bylaw 600 states that a high school player becomes ineligible if said student competes in a contest on an outside team. In the same sport, during the student’s high school season of said sport. Following the forfeit, Folsom coach Mike McBride said he was unaware of the rule that went into effect partly due to the change in season for the sport of soccer. When the teams began competition in the winter sports season. The rule created new obstacles for external competition. The forfeit brought an abrupt end to what could have been the school’s best finish. At least its best in the last decade. Instead, the Bulldogs finished 20-1 with a single blemish on their record and watched Jesuit-Carmichael hoist the section championship plaque following a 2-1 win over Sheldon the very next weekend. Despite the incident, Atterberry gained experience from it. 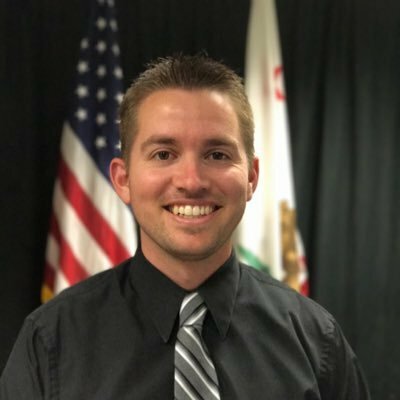 He’s vowed to open up his communication to CIF officials, take further interest in rules and regulations and plans to incorporate this approach at the next level as well — ultimately making a repeat offense or any other rule violation highly unlikely. He’s also set his sights on redemption. Atterberry and his squad enter the 2018 playoffs as the top seed in the Division I bracket, which released on Feb. 16. The team will have home field advantage throughout the postseason and begin its road to a title with a 6:30 p.m. home match against Franklin-Stockton on Feb. 20. Although the Bulldogs endured a pair of ties late in the regular season, they closed the season with three dominant victories and are riding a wave of momentum at the best possible time. 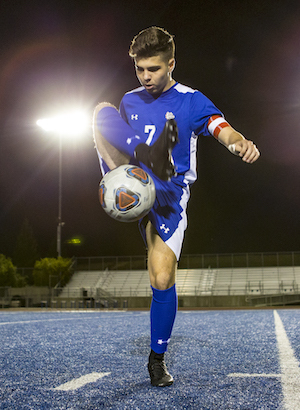 The team toppled Sierra Foothill League runner-up Granite Bay, 3-1, at home thanks to goals from Atterberry, Abraham Iniquez and Luke Clark. They followed that with a 4-0 road victory over Del Oro-Loomis where Quentin Petcu scored three goals and assisted on another, Iniquez scored again and Atterberry added an assist. A 3-0 win over Nevada Union-Grass Valley solidified the Bulldogs’ unbeaten regular season at 18-0-4 and the SFL title. Furthermore, and without counting the forfeit, the team hasn’t lost a game since November 11, 2015 — that year’s section semifinal against Cosumnes Oaks-Elk Grove. “We’re not last year’s team, but we’re still pretty darn good,” McBride acknowledged. “I mean, last year’s team was one of the best I’ve seen since I’ve began coaching (in 2000). 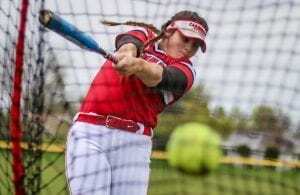 The veteran coach added Davis, Enochs-Modesto and McClatchy-Sacramento as the other top programs in the area. However, Folsom beat all of those programs at least once this year, except for McClatchy, whom they didn’t play. Although he’s led a lot of different squads over the years, this season brought with it a first for McBride. This 2018 squad was the only group he’s had an imprint on from start to finish. Four years ago, he coached this senior class as freshmen, and then sophomores as part of the JV squad, and as juniors and seniors in the past two years — moving up with them each step of the way. The hands-on approach has paid dividends. 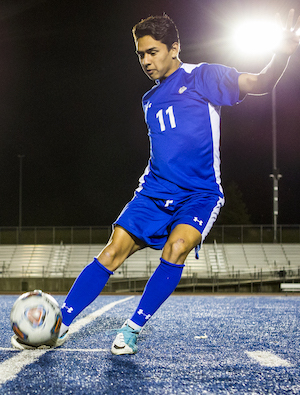 The Bulldogs are averaging three goals per game, led by junior Kevin Grewal who has a league-leading 23 goals with eight assists in 22 games this year and has become one of the most-consistent scorers on the team in surprise fashion. 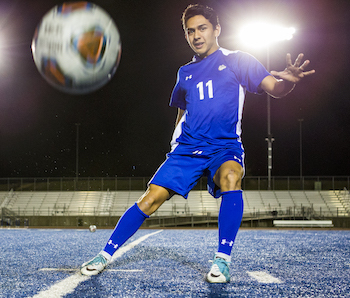 Last year, the lengthy sophomore saw some action yet took just 12 shots, converting five of them into goals. But graduation pushed him to the top of the lineup and he’s taken advantage of the opportunity, scoring in 14 of his 22 starts at forward. Moreover, the biggest difference between last year’s team. 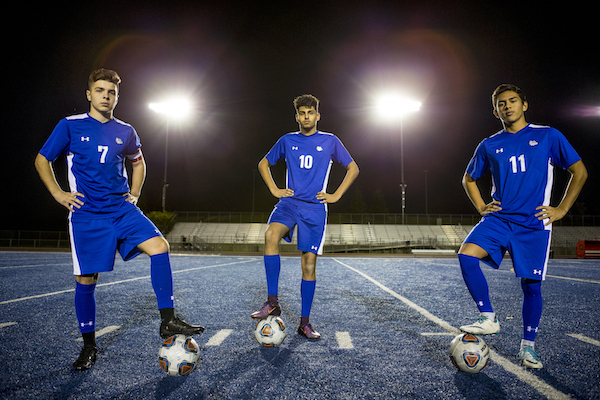 This year’s group is the midfield, where the Bulldogs lost Erik Mattice (12 goals), Spencer Hoyle (team-high 19 goals) and Nick Gosal (3 goals). To fill their void, Nick’s younger brother Nathan made the varsity roster as a sophomore. He has filled in nicely, while Luke Clark and Abraham Iniquez. Who was second on the team in scoring in 2017, have each stepped up to replace what the team lost. Despite missing the first six games of the season due to last year’s infraction, Atterberry has also stepped up, and his 13 assists rank as second-most on the team, and in the league, behind only Petcu (14). Atterberry said he’s noticed a difference in his speed this year and uses a start-and-stop attack to blow past defenders and create open passing lanes. That speed also helped him gain the attention of Aaron Lewis. The head men’s soccer coach at Corban University in Salem, Oregon. Lewis took a liking to Atterberry, and his teammate Petcu, and persuaded them both to commit to his program this month. 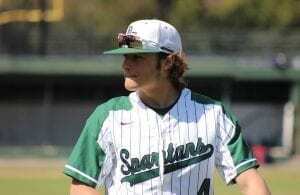 Atterberry could have selected San Francisco State. But, chose Corban instead because of the caliber of players the program has produced. Its success over the past few years, and one major connection to professional soccer. Lewis became the head coach of the Warriors’ program in 2013. He has since led Corban to four-straight appearances in the NAIA National Championships, three CCC Tournament Titles, and two CCC regular season titles. He also has ties to a Major League Soccer club as the coach of the Portland Timbers’ U-23 team. A developmental program that uses a handful of Corban University players. Petcu will bring a level of comfort to the transition as he will join Atterberry at Corban next season after the duo inked National Letters of Intent earlier in February. 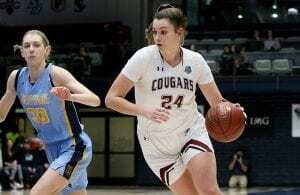 But, before the two can suit up together at the collegiate level. They’ll look to hoist their own section championship hardware in the coming weeks with Folsom High. If they win their next four games, they’ll boast a 42-0-4 record in two years with one forfeit, and maybe then coach McBride will say they’re unbeatable.